Jens Zygar began his exploration of sound as a guitarist in the Hamburg based -Neue-Deutsche-Welle- Band 'Große Freiheit' before moving to Hamburg, Jens music and sound experiences were diverse. He grew up in Liberia and later moved to the North Sea coast of Germany to attend a boarding school which gave him a multicultural perspective on musical language. Also influenced by the Swiss author and scientist Hans Cousto, who introduced him to the concept of the `Cosmic Octave` in the early 80`s, Jens started his own research for achieving the `vision of a cosmic language for people and nature`. In the late 80's this inspiring and visionary connection led to a project of the planetary tuned symphonic gongs which is up to now a future orientated concept of understanding spherical harmonics and dynamics in cooperation with PAISTE Gong Company. The planetary gongs allow performances resonating with the frequencies, tones and harmonics conveyed by nature in order to develop a unifying aural language that addresses the relationship between `Body, Mind and Soul`. In 1984, after completing his studies in natural healing, Jens Zygar set up the first dedicated holistic `Klanghaus` space in which he still works with sound as a transcending medium. During the Klanghaus projects, Jens co-founded the Stars Sounds Orchestra which lead to performances all around the globe. Zygar has formed his unique approach to sound and performance centered on the self-fulfillment of each individual connecting Body, Mind and Soul. 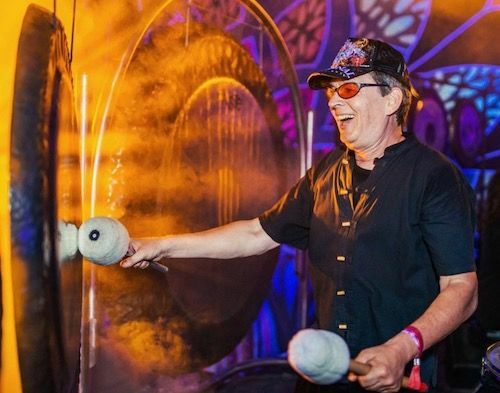 Today Jens Zygar is a well experienced global gong artist with a large spectrum of projects. His lectures and workshops are unique as they follow the inspirations, intuitions and imaginations of a holistic grounded culture that respects individual creativity as a source of life.